PHOENIX, Ariz. and ROSEMONT, Ill. — May 14, 2013 — Head protection plays a vital role in the health and safety of any athlete participating in helmeted sports. In a move that could help revolutionize football player safety, the Translational Genomics Research Institute (TGen), and Easton-Bell Sports through its Riddell brand, announced today it would work together on a study designed to advance athlete concussion detection and treatment. Information gathered through the study will also be used to develop new football headgear and further refine updates to player monitoring technology. The genesis of this potentially groundbreaking study is to merge a player’s genetic information with real-time microelectronic information captured by Riddell’s Sideline Response System (SRS). 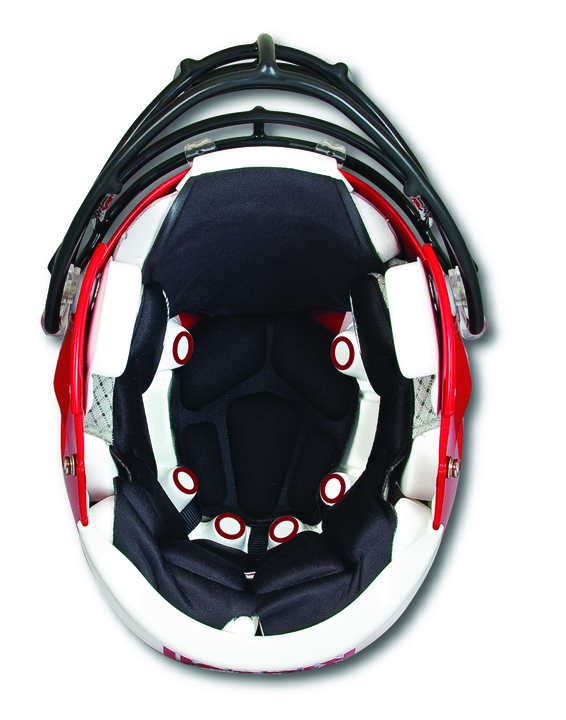 A highly sophisticated, data-intensive system, Riddell SRS provides researchers, athletic staff and players with a wide range of valuable information on the number and severity of head impacts a player receives during games and practices. Employed since 2003 by several well-respected research institutions, Riddell SRS has captured 1.8 million impacts from youth to elite football competition, and its data has led to impactful changes to rules, how the game is played and coached, and has informed new helmet designs. While the joint study will begin with football, the Riddell-TGen partnership has the potential to improve sports equipment manufactured by brands in the broader Easton-Bell Sports portfolio, including headgear for hockey, baseball, cycling, snowsports, and powersports. “As the awareness of head injury grows across all sports, supporting science like this will help us offer a more protective helmet solution to the athlete,” said Arment. As part of the study, TGen will work with the Barrow Neurological Institute whose B.R.A.I.N.S. (Barrow Resource for Acquired Injury to the Nervous System) program treats patients who have sustained a traumatic brain or spinal cord injury. “Combining our neurological expertise and the information from our B.R.A.I.N.S. program, with TGen's genomic knowledge and Riddell's helmet technology, will provide great insight into how we measure concussions and how they affect the human brain," said Dr. Javier Cárdenas, a neurologist and brain injury expert with Barrow Neurological Institute. "The genomic data could aid in the treatment process and will greatly add to the growing body of knowledge we're acquiring about head injury patients." Joining Barrow will be athletic trainers from A.T. Still University and SAFE Football, which teaches alternative game-play techniques that reduce the number of head impacts while increasing competitiveness. “Our partnerships with Barrow Neurological Institute, A.T. Still University, and Safe Football provide a multifaceted approach to identifying athletes in need of medical attention, to educating athletes on concussion and brain injury, to reducing the risk of injury through development of better techniques, and to improving treatment outcomes,” said Dr. Matt Huentelman, TGen Associate Professor and a co-investigator on the study. Easton-Bell Sports, Inc. is a leading designer, developer and marketer of branded sports equipment, protective products and related accessories. The company markets and licenses products under such well-known brands as Easton, Bell, Giro, Riddell and Blackburn. Its products incorporate leading technology and designs and are used by professional athletes and enthusiasts alike. Headquartered in Van Nuys, California, the company has 34 facilities worldwide. More information is available at www.eastonbellsports.com. 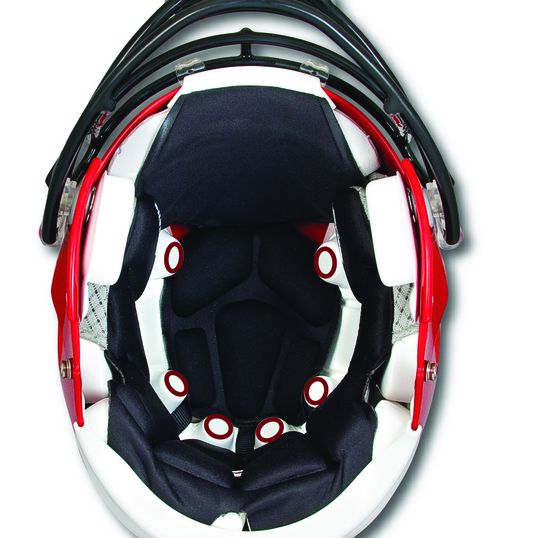 A Riddell Revolution Speed helmet exposes the Sideline Response System (SRS) sensors underneath its liner.